I agree; such posts belong here. It is my opinion that PaleoNet is dedicated to the promotion of paleontology. The question is : does this book contributes to the promotion of paleontology ? I thind it does. This just in. 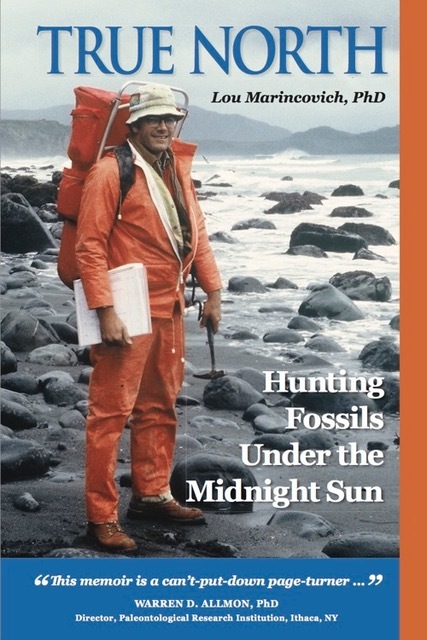 I note here that this is a self-published book by a prominent paleontologist. Although it’s being marketed by Amazon, Amazon isn’t making any money on book sales. I suspect this type of publication will become more popular in future and would welcome comments from PaleoNet subscribers regarding how they feel about announcements of such books being allowed on PaleoNet. As some of you know, my career with the U.S. Geological Survey and the California Academy of Sciences in San Francisco has been focused on Cenozoic marine mollusks of the Arctic and North Pacific oceans. Most of my thirty-plus years of summer fieldwork has taken place in remote parts of Alaska, as well as in the Canadian Arctic Islands and Kamchatka. Fieldwork and research in such remote and wild parts of the world gave me not only exciting scientific discoveries but also many hazardous adventures with grizzly bears and wolves, bush planes, perishing weather and challenging terrain. I recount my major accomplishments, such as inferring the age of Bering Strait’s earliest opening, documenting middle Miocene climatic warming in the Arctic realm, and showing that Cretaceous marine mollusks in the Arctic Ocean survived well beyond the K/T extinction event that eliminated them elsewhere. The ever-present background, however, is the transcendently beautiful and dangerous Arctic that gave me so many adventures to recount, such as having to shoot a charging grizzly while collecting Miocene mollusks. My Arctic tales are accompanied by sixty field photos.